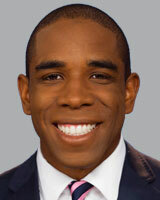 DeJuan Hoggard joined the ABC11 Eyewitness News team in April 2016. He co-anchors weekend evenings for Eyewitness News and reports during the week for Eyewitness News at 4, 5, and 6. As a native of America's Finest City aka San Diego, DeJuan started his journalism career as a host/reporter for his high school's television news program. As a sophomore, he interned at KUSI-TV in San Diego. During his tenure, he did "just about everything" from being a Production Assistant to Master Control Operator to Sports Producer to on-air host for the station's PPR Plus web-streamed football program. His contributions helped KUSI earn many Emmy Awards for the Prep Pigskin Report. Hungry for change, DeJuan was hired as an anchor/reporter for the launch of One America News in 2013. While at OAN, DeJuan anchored the "Early Edition" of One America News. He also covered the San Bernardino shootings, national politics, and many other breaking news stories. He holds a Bachelor of Arts in Journalism (Broadcast) and a collateral in Pan-African Studies from California State University Northridge. He was affectionately nicknamed "Mr. Television" by one of his college instructors. A name the instructor still calls him to this day. DeJuan also earned an MBA with a specialization in marketing from Ashford University with a perfect GPA. DeJuan and his wife have two, beautiful daughters. They are also the proud owners of their dog, Chewy. When DeJuan is not behind the anchor desk or chasing stories around the Triangle, he likes to travel, golf, watch football (Go San Diego Chargers and USC Trojans! ), try new restaurants, and catch matinee movies. DeJuan also is a member of the National Association of Black Journalists. If you see DeJuan around the Triangle, don't be shy...say hi! Request DeJuan to speak at your event. A kayaker had to be rescued by the Spring Lake Fire Department Saturday evening after her kayak overturned. Firefighters responded to downtown Durham nearly an hour before last week's deadly explosion after someone reported a gas smell but returned to the fire station because they did not smell anything, a newly released report said. Hundreds of Catholic parishioners filled the pews at Raleigh's Holy Name of Jesus Cathedral for a Tuesday Mass a day after the iconic Notre Dame Cathedral in Paris burned as the world watched.